If you were one of the millions of Britons who woke up Friday morning and said, "oops, did I really just vote 'Leave' in that referendum thing?" fear not — there's a petition for another vote on the rise. 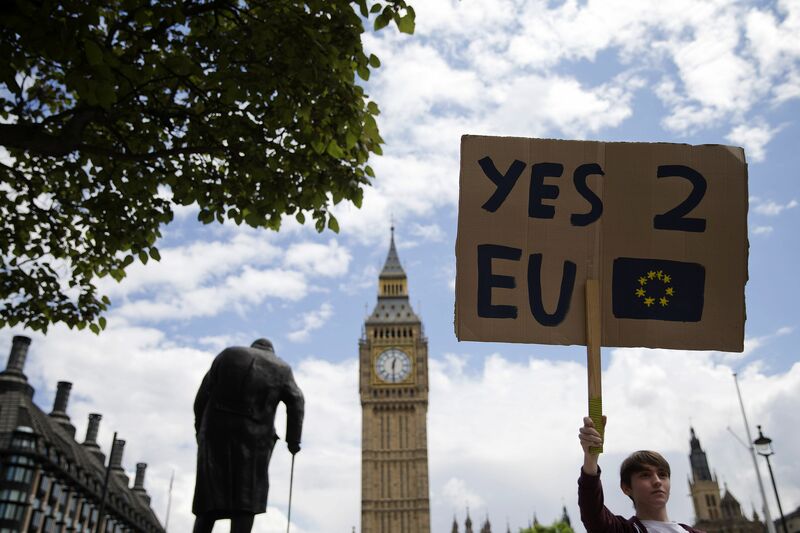 A petition challenging the EU referendum vote has accumulated more than 2 million signatures as of Saturday afternoon. The U.K. parliament is now obligated to respond to the petition, which no doubt reflects both the anger of those living in areas — such as London and Scotland — where "Remain" won by an overwhelming margin and the regret of those who woke up Friday morning to a plummeting financial market and political disarray. According to U.K. government rules, parliament has to consider for debate petitions that receive at least 100,000 signatures. The petition has been gaining momentum in the fallout of the "Leave" victory, and The Independent reported that the petition crashed the U.K. government servers on Friday. Several high-profile Britons, including Radiohead frontman Thom Yorke and Radiohead producer Nigel Godrich, have shared the petition on their social media accounts. Yorke accompanied the petition with a cheeky tweet about "old UK turkeys." More than 17 million U.K. citizens voted on Thursday to leave the European Union, accounting for just 52 percent of voters; meanwhile, U.K. 16 million citizens voted to stay in the EU. The overall turnout was roughly 72 percent of eligible voters. The results were starkly divided by age, class, education status and region. Scotland voted overwhelmingly to remain in the EU, causing Scottish Minister Nicola Sturgeon to announce Friday that a second referendum on Scottish independence is "highly likely." Is a re-do on Brexit also highly likely? With the resignation of British Prime Minister David Cameron and British EU commissioner Jonathan Hill, as well as mounting pressure on the Labour Party's Jeremy Corbyn and the EU's call for an "amicable" but swift exit, it seems like this "non-binding" referendum had some permanent effects. However, U.K. parliament still has to implement Article 50 to officially start the exit — and debate this growing petition in this topsy-turvy interim.